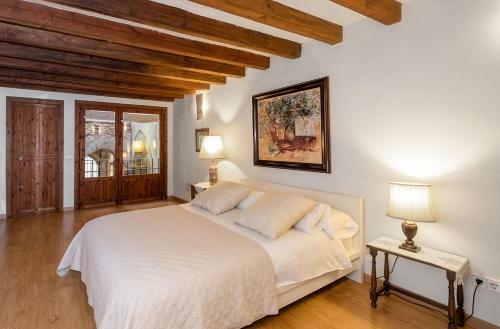 Bed and Breakfast Ramón Llull House in Palma is a B&B with 5 Rooms. Ramón Llull is located in Palma de Mallorca old town. 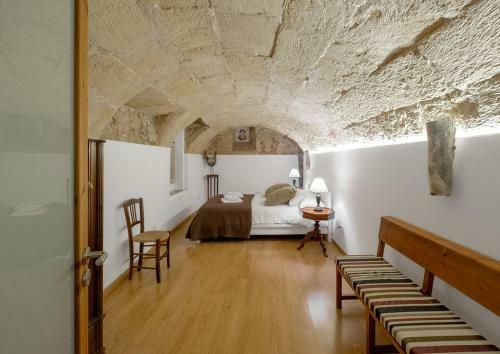 Offering free WiFi, the air-conditioned apartments are a 3-minute walk from the Cathedral. 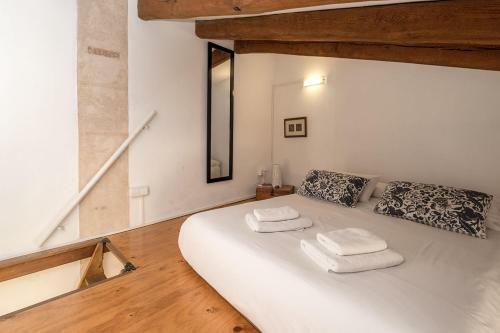 Built in a traditional 18th-century building with wooden beams, vaults and sandstone walls, each modern apartment features bright bedrooms and a living room with a flat-screen TV. The kitchen includes a microwave, coffee machine, fridge and kettle. 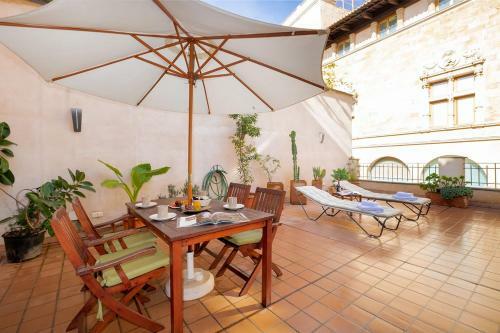 Some apartments have a terrace or Majorcan patio. 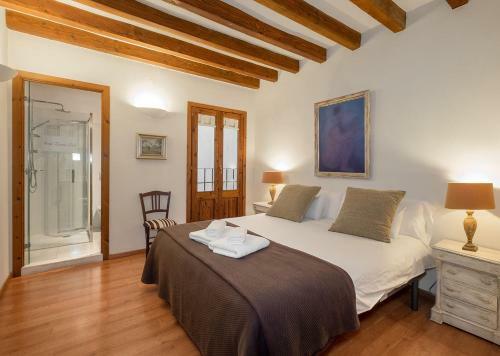 Ramón Llull provides towels and bed linen, and the bathr...oom comes with free toiletries and a hairdryer. There is a wide variety of shops, lively bars and Mediterranean restaurants. 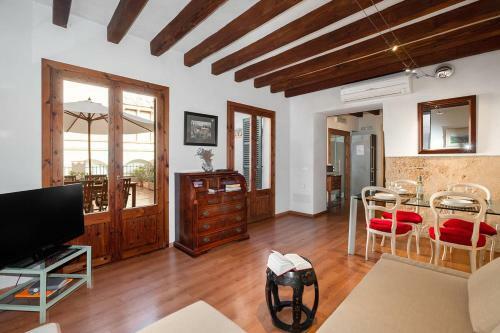 Palma Port is 1 km away while Santa Catalina area is 1.5 km from the property. 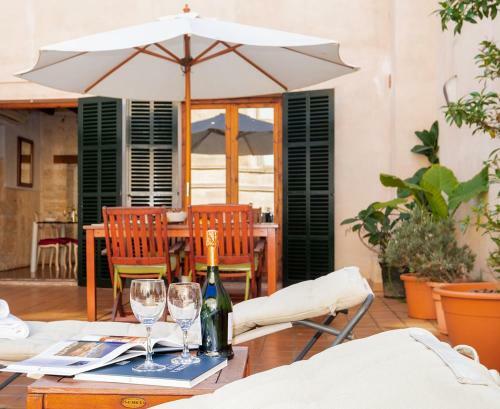 Palma de Mallorca Airport is a 10-minute drive from the property. Ramón Llull is located in Palma de Mallorca old town. 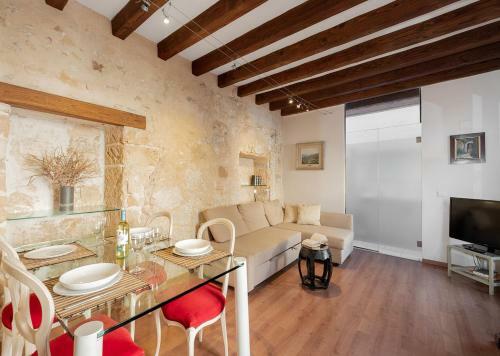 Offering free WiFi, the air-conditioned apartments are a 3-minute walk from the Cathedral. 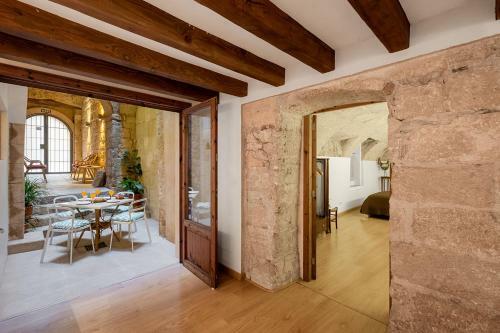 Built... in a traditional 18th-century building with wooden beams, vaults and sandstone walls, each modern apartment features bright bedrooms and a living room with a flat-screen TV. 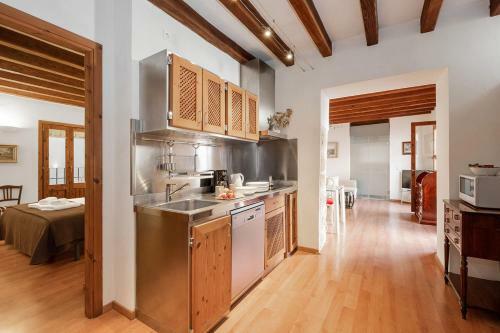 The kitchen includes a microwave, coffee machine, fridge and kettle. 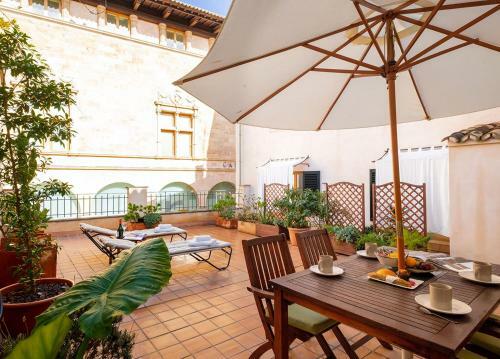 Some apartments have a terrace or Majorcan patio. 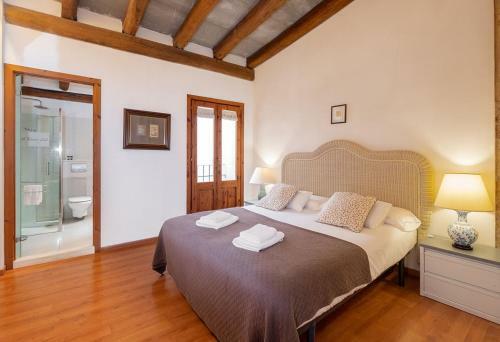 Ramón Llull provides towels and bed linen, and the bathroom comes with free toiletries and a hairdryer. There is a wide variety of shops, lively bars and Mediterranean restaurants. 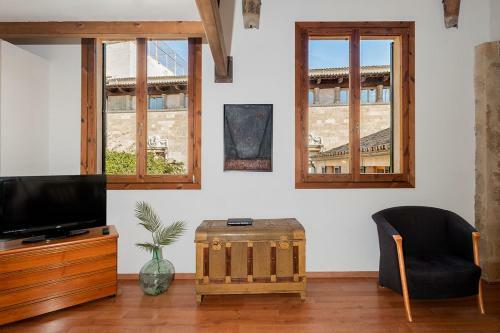 Palma Port is 1 km away while Santa Catalina area is 1.5 km from the property. 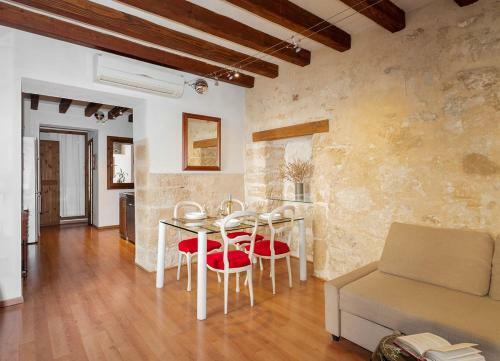 Palma de Mallorca Airport is a 10-minute drive from the property. 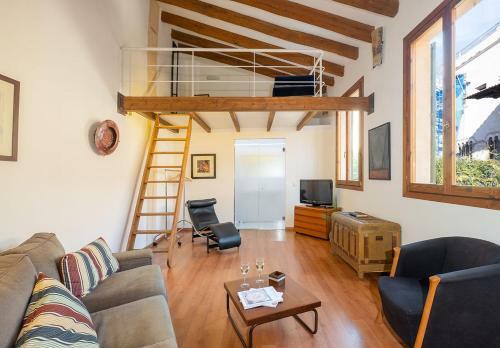 When would you like to stay at Ramón Llull House? Children and extra beds All children under 2 years stay free of charge for children's cots/cribs. All children under 16 years are charged EUR 25 per night for extra beds. All further older children or adults are charged EUR 25 per night for extra beds. The maximum number of extra beds in a room is 1. Supplements are not calculated automatically in the total costs and will have to be paid for separately when checking out. Any type of extra bed or child's cot/crib is upon request and needs to be confirmed by the innkeeper. 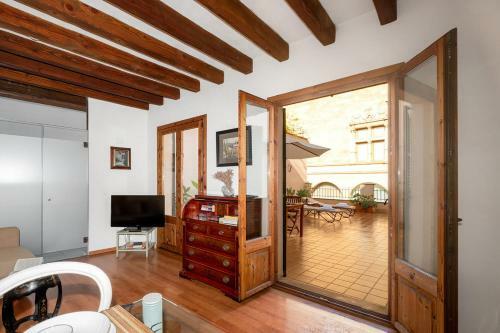 Please inform Ramón Llull House in advance of your expected arrival time. You can use the Special Requests box when booking, or contact the property directly with the contact details provided in your confirmation. Please note, check in after 23:00 carries an extra cost of EUR 20.